Why Do We Work in Sudan? 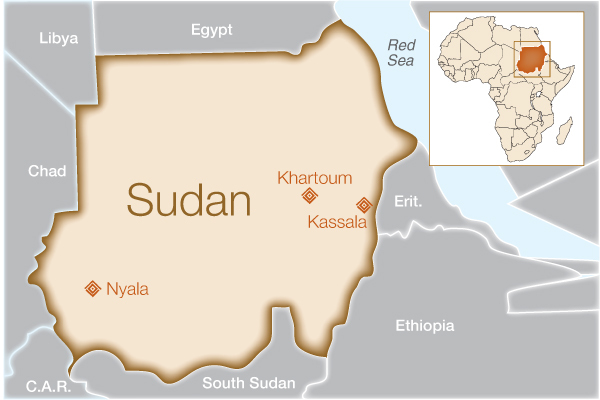 Since independence, Sudan has been scarred by civil wars, political turmoil and a huge refugee crisis. Against such a backdrop, it is difficult for government, economy and healthcare infrastructure to function effectively. Such system failure is at the root of obstetric fistula. Instability and a lack of basic services means women have less access to emergency obstetric care, resulting in a high rate of maternal mortality in the country and high risk of developing a fistula. Hospitals struggle to address the ever-growing backlog of untreated patients, let alone treat the new cases that occur each year. How will this help women in Sudan? In operation for over 40 years, Dr. Abbo Khartoum Teaching Hospital has one of the longest-running fistula programs on the African continent. However, conflict and lack of supplies and trained surgeons limited the number of women they were able to treat. During the last grant period, funding from Fistula Foundation supported treatment for 123 patients as well as their transportation and reintegration expenses, and an outreach campaign to strengthen the hospital’s ties with the surrounding community. The maternal health situation is especially dire in the Kassala and Nyala regions of Sudan. With funding from Fistula Foundation, our long-time partners at WAHA worked to establish quality fistula treatment services in these two areas. Before this project there were no fistula repair services available in Kassala; there is now a small fistula care team at Kassala Hospital capable of providing routine services to fistula patients, and they continue to build their capacity through trainings and workshops. While there is a small fistula ward at Nyala Hospital, it was barely functional for a period of time due to lack of resources. We helped build up infrastructure at the hospital and provide refresher training courses for surgeons to reinforce and enhance their skills. During the last grant period, these two hospitals performed over 200 surgeries in 2012. Sources: CIA World Fact Book; WHO, World Bank, UNFPA.